While laboratory research is the backbone of collecting experimental data in cognitive science, a rapidly increasing amount of research is now capitalizing on large-scale and real-world digital data. Each piece of data is a trace of human behavior and offers us a potential clue to understanding basic cognitive principles. However, we have to be able to put the pieces together in a reasonable way, which necessitates both advances in our theoretical models and development of new methodological techniques. The primary goal of this volume is to present cutting-edge examples of mining large-scale and naturalistic data to discover important principles of cognition and evaluate theories that would not be possible without such a scale. This book also has a mission to stimulate cognitive scientists to consider new ways to harness big data in order to enhance our understanding of fundamental cognitive processes. Finally, this book aims to warn of the potential pitfalls of using, or being over-reliant on, big data and to show how big data can work alongside traditional, rigorously gathered experimental data rather than simply supersede it. 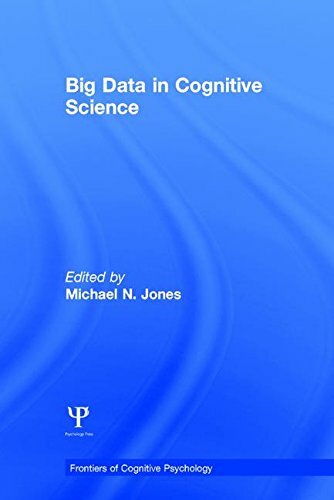 In sum, this groundbreaking volume presents cognitive scientists and those in related fields with an exciting, detailed, stimulating, and realistic introduction to big data Ã¢ÂÂ and to show how it may greatly advance our understanding of the principles of human memory, perception, categorization, decision-making, language, problem-solving, and representation.